Well, we all survived…and it was good. 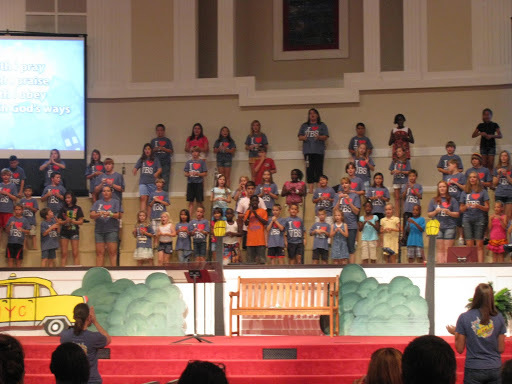 This vacation Bible school was “Big Apple Adventure…where life and faith connect” by Lifeway. This was one of their best vbs productions. It was fun filled, modern music, and energized. The kids loved it, and we were well organized (even though I was panicked most of the time). My daughter, Carmen painted most of the “sets,” and she did a great job. She ended up helping the majority of the week with registrations to records, to being the Missions leader on Friday. I am so very proud of her. 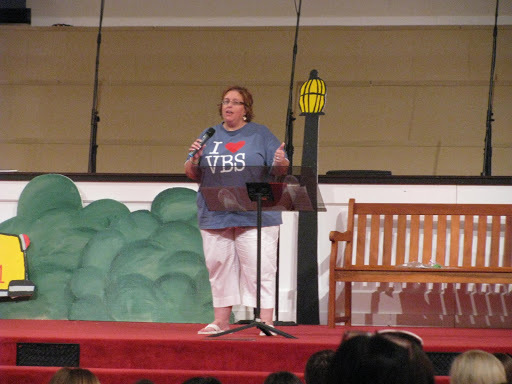 We have had a wonderful vbs director for about 8 years, and she really has her stuff together. So, that made it easier, although my self-confidence really sunk low. Speaking in front of people is never easy, and with kids I am more comfortable. I was panicked about this I think beginning on Wednesday. Our temperatures during the week averaged around 94, and no clue what the heat index was, but it was hot. Running around all week, even with the sections being inside, it was really tiring. I did try to rest when we got home, but there were things that needed to be done each day in preparation for the next. Friday was the worst. We hosted a family fun night and hot dog supper. Cooking 300 hot dogs, and 100 hamburgers was easy due to some wonderful volunteers. But for me – exhausting. The best part was that we had children bouncing to areas (snack, music, recreation), and most importantly Bible Study. Thursday was a great day for me, considering a 3rd grader came beaming about accepting Christ the night before. He was walking on air, and Christ shown through. I was humbled, in awe of the joy that came through him so easily. The week ended, and I crashed – hard. It was worth it. I was honored to be a part of a great week.